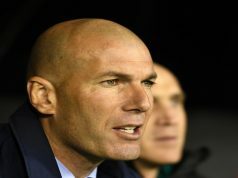 Real Madrid suffered to beat Espanyol (1-0) in the fifth game in La Liga, but Los Blancos got the three points and they are again on the top of the table, waiting for Barcelona’s game against Girona at home. 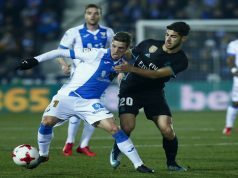 Only a goal scored by Marco Asensio was enough to get the victory, although Lopetegui’s men risked to lose two points at the end of the match. We knew that Lopetegui was going to make a few changes. Álvaro Odriozola was set to debut because Dani Carvajal was injured. The former Real Sociedad defender made a great game and he put some pressure on Carvajal. If the Madrid born right back has problems, this season Odriozola will be ready to take his positions. Also Courtois started again in the goal and Kroos and Gareth Bale had some rest. With all these changes, the team didn’t work very well. Dani Ceballos was in the midfield, but the level of the team was far from the one showed against AS Roma only three days ago. Even Espanyol had a few chances, especially one after a huge mistake of Sergio Ramos, who hit the bar. 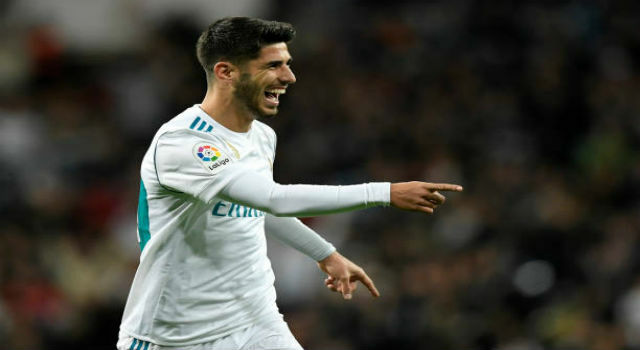 Los Blancos only could take the lead in the minute 42nd, when Marco Asensio shot after a lucky pass. The referee needed to confirm if it was legal or not with VAR, but he finally conceded the goal. Sergio Ramos showed a poor level and made some crazy mistakes. The captain is playing with too much confidence and Lopetegui should tell him that he is the best defender in the world, but he cannot shoot the free kicks, score the goals, give the assists… There is a big team and the team mates should share their tasks. At the end of the game we had the opportunity to see Mariano Díaz again and also Lucas Vázquez, who is not having many minutes in this start of the season. 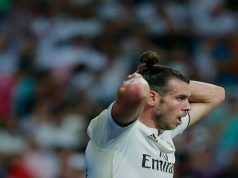 However, Gareth Bale didn’t play a minute because Lopetegui decided to put Marco Llorente in the pitch at the end of the game to tie the result. It was a risky decision because Espanyol was close to draw at the end.